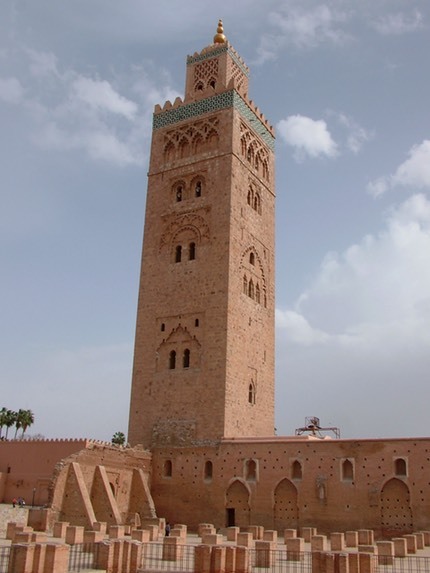 This is the main sight to see in Marrakech and is just off to the side of the main square. It was designed (built?) by the guy who did the one in Seville. It is an active mosque and runs a flag up as well at prayer time so the deaf can pray. There wasn't exactly a rush to the mosque at prayer time, most seemingly happy just to stand still for about 10 seconds. 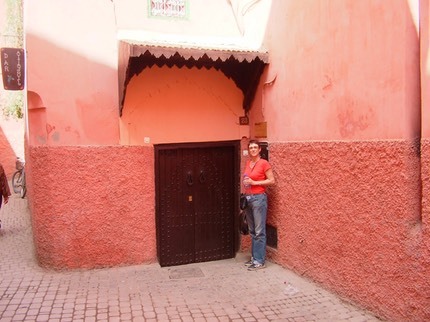 The old royal palace is a 20 minute walk south of the main square and is well worth a visit. 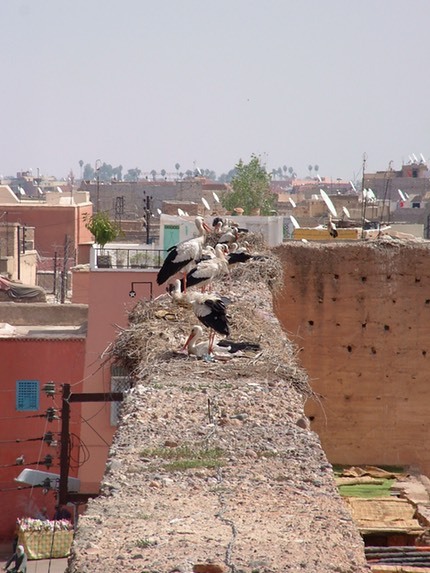 There are dozens of white storks nesting on the walls enjoying their protected status. 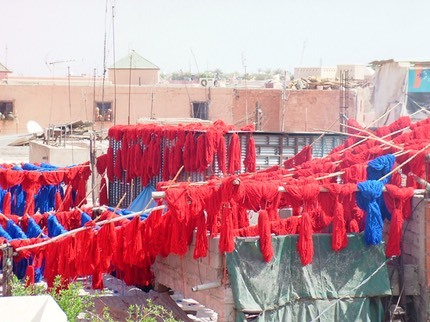 Renowned for its dyeing of materials these were on the roof for drying in the souk.